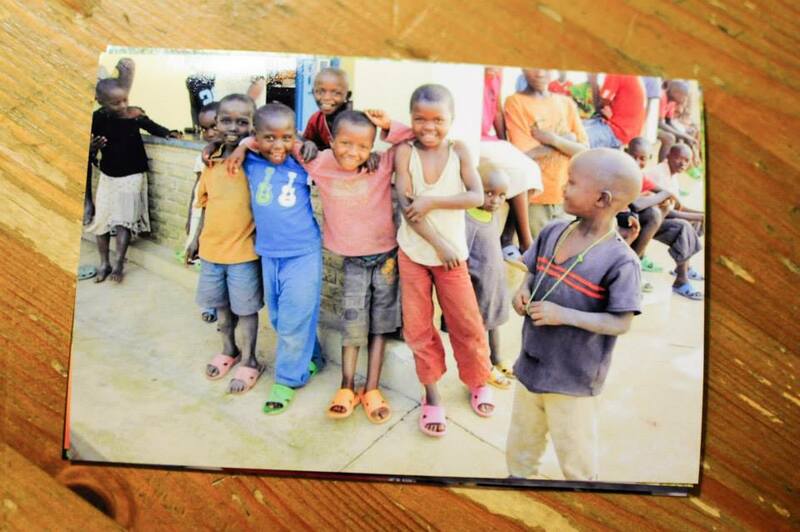 At just 8 years old, Nina Iliza survived a Rwandan genocide. She would escape her hometown of violence, but at the expense of losing her mother, a memory that still lingers vividly in the back of her mind. “I lost my brother and mother in the same night, both my grandparents on another night, and uncle’s and aunt’s along the way,” says Nina. It’s a feeling that no one should ever have to deal with, but it is in fact her reality. Somehow she survived, but her life would never be the same. “I’m not sure though if I can say I overcame it as much as I survived it. Sometimes I feel like I am still overcoming the hardships.” This was her life at 8 years old. Although her life would never quit be the same, she would learn of her family in the states who would take her in. Yet an unsettling feeling remained, things she could never quite vocalize publicly. “My aunt adopted me and 2 of my cousins so it was a very blended family-very fast. I never vocalized any pain I felt about my mother. I would just hide and cry in my pillow until I felt like I was ok to go back to the world. I would think that there is no way I could still be in so much pain about it-I would syke myself out to help stop from crying so much. Now as an adult I have done a much better job at healing through it, but as a child who never talked about it, it was pretty rough. I would have to say that was the most difficult part about growing up not having my birth mother, a lack of strength to acknowledge/face my loss.” But in time, things would change and she would find the strength. In 2010, she would return home. A place that robbed her of her childhood back in 1994, would take on a new meaning nearly 16 years later. “I visited Rwanda again for the first time in 2010. It was by far the most emotional roller coaster I have ever been on. On one hand I’m back home, and everything is so new and beautiful. But on the other hand, I lost my family in this place.” But as the saying goes, what doesn’t kill you makes you stronger. Her story is a true testament of this, and somehow what stood before her reinforced it. “I sat on the rooftop and told myself out loud that when I come back – I’ll be coming back to make this place a little better than I would leave it. I would come back and not mourn my mother, but honor her.” This would birth the idea of Heart Of A Thousand Hills a passion project that would combine her love for Rwanda and making a difference in people’s lives. A Heart of A Thousand Hills is Nina’s non-profit. 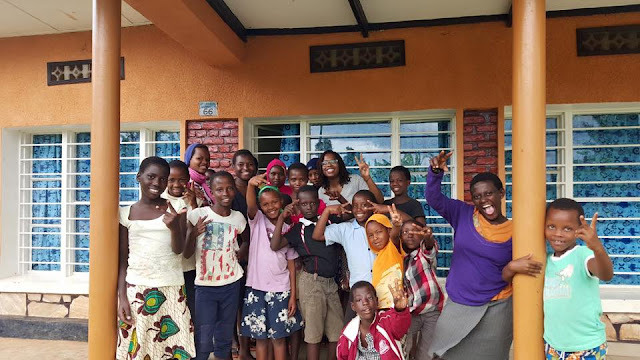 Founded in 2014, its mission is to provide essential school supplies and uniforms for vulnerable children in Rwanda to support their educational pursuit. You know, the simple things that you and I probably take for granted. Nina wants to make that a necessity for her people, our people. I’ve seen lots of infomercials about “saving Africa.” I find myself stuck somewhere between not trusting the organization and not believing that this was in fact the reality for some of my African brothers and sisters. But in Nina’s case, there’s no changing the channel. There’s only the mute button or turning up the volume. She chooses to listen, digest the message and speak up. But after a second trip to Rwanda, providing school supplies for over 30 students, she realized that she wanted to do more. Nina would develop this crazy idea to build a school in Rwanda. It doesn’t quite qualify for Forbes 30 Under 30, but it’s a feeling that no award or accolade could ever amount to. The feeling you get when you’re doing something that outlives your existence and carries on your legacy. Nina is attempting to do something amazing, but she needs our help. By August 2016, she is aiming to raise $15,000 in order to build a school, provide materials for art programming and implementing a mural on the school. And while I know this, and J Cole knows this, for some it’s a difficult thing to see. “It is important for us to spread art and positivity to our youth in Rwanda in order to encourage youth to be aware of goodness within themselves and in turn, be able to see the beauty of their environment.” There’s beauty in the struggle, and it’s important that these kids see it. You can support the Heart of A Thousand Hills fundraiser by donating to their GoFundMe. At the time I am writing this article, they have reached $1,148 of their $15,000 goal. For more information on her non-profit, click here. Building Hope Project in Rwanda from the simple good on Vimeo.